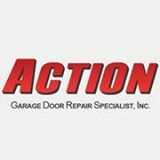 The technician - David - repaired my garage door opener and garage door on a Saturday evening starting at 6:30pm!!! He was nice, polite, clean, knowledgeable and very easy to do business with. I believe this service was above and beyond.